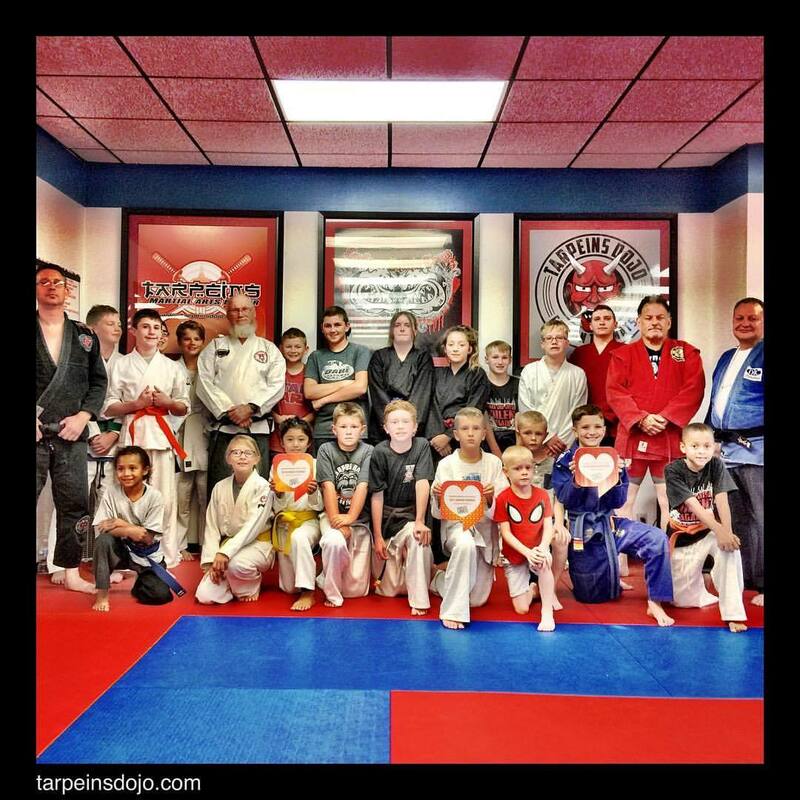 Wanted to highlight the kids from the academy- as well as the black belt instructors. Thank you for the awesome award Quad Cities Area Locals Love Us and thank you, awesome students and coaches ! 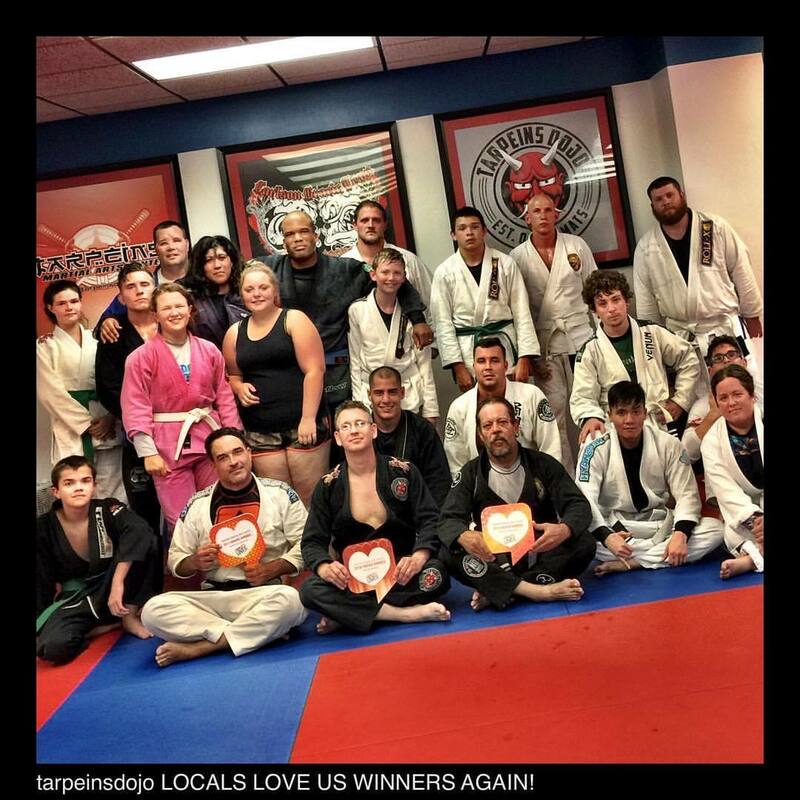 Again I have the best students and staff- Tarpeins Dojo has been awarded best Martial Arts academy in the Quad Cities – So a BIG thank you goes out to the Quad Cities for voting us the best! 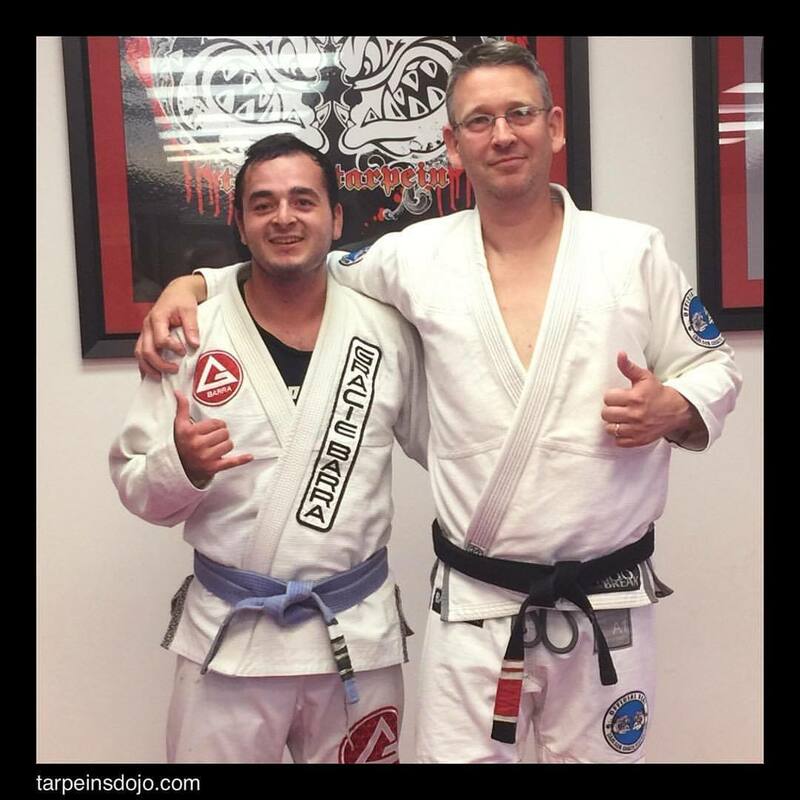 See you on the mats, all of the Tarpein’s students. Seminar #3 in two weeks – Today I had a great time teaching the St. Ambrose University soccer team! Little Sasha was my helper – I told Sasha it’s important to help people learn self defense, Younger or older – boys – girls – Moms and Dads… everyone. 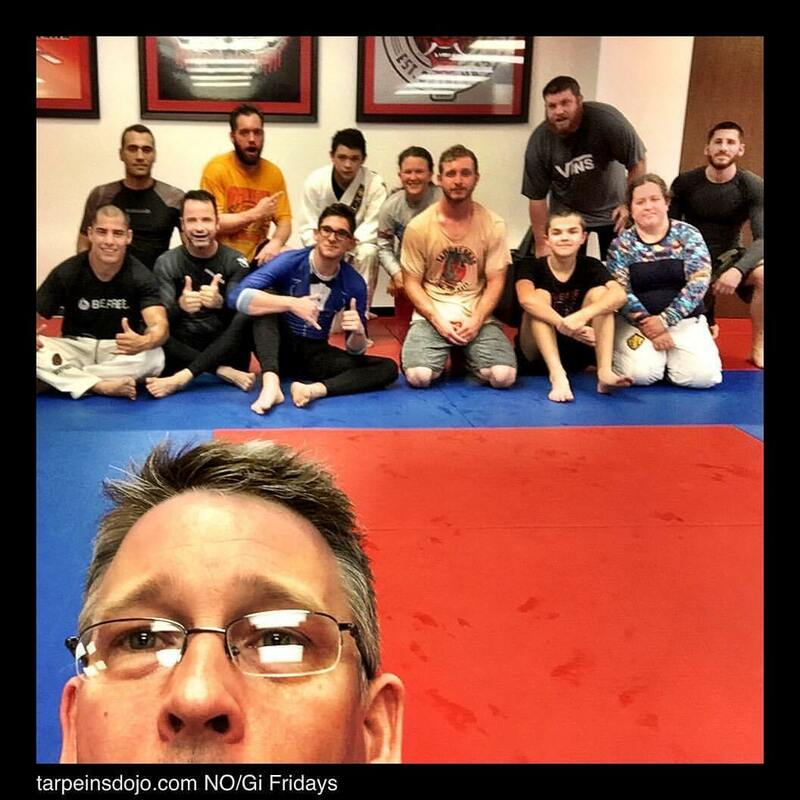 Great seeing old friends and students ! 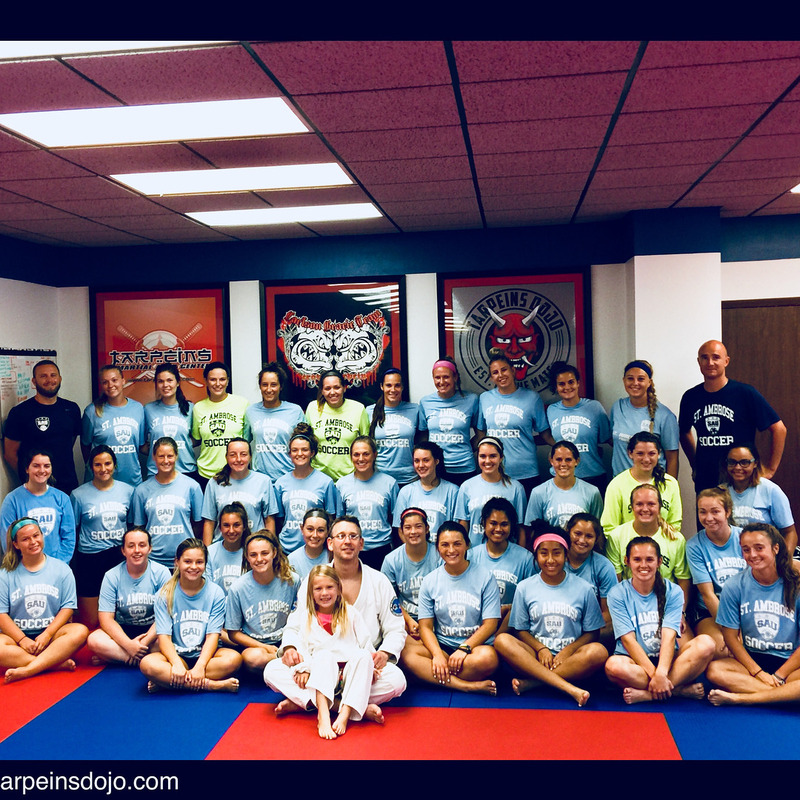 Round number 2 self defense seminar – thank you to all that came in. 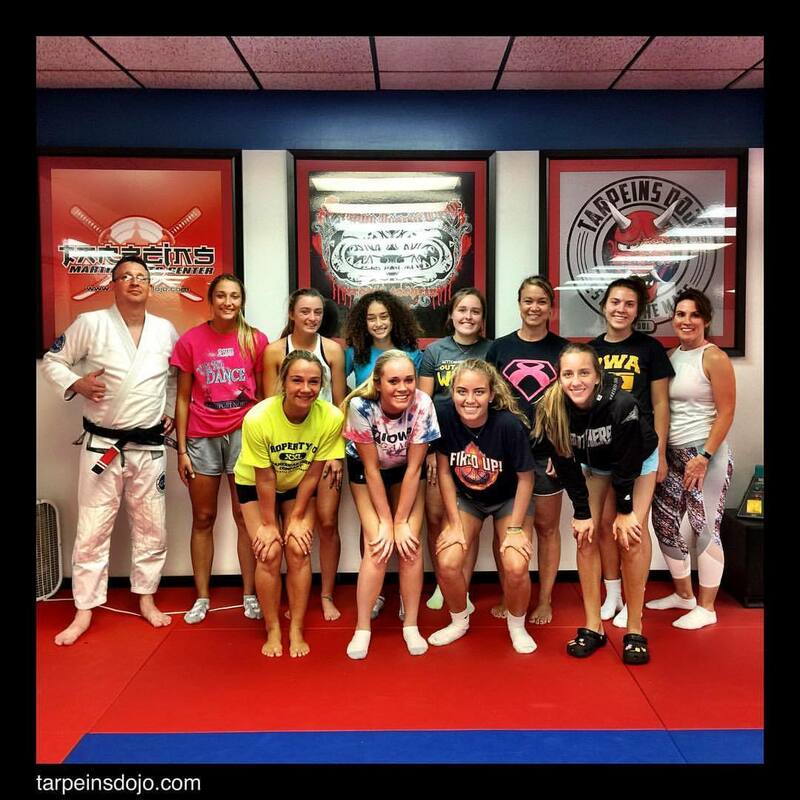 I hope you never have to use anything I taught- But it was great working with every one of you ladies ! Thank you again! 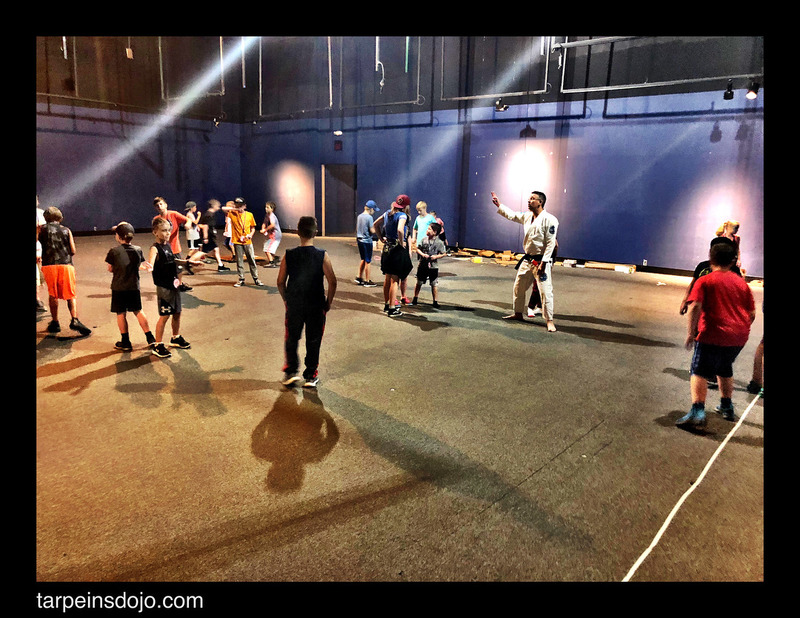 Children safety and awareness self defense seminar ! ZOMBIE STYLE!